I’ve been working in (open) secrecy for nearly a month on a project. It’s been years since I last did a Furry Widdle Bunny comic and nearly a decade since I drew a comic strip! I’ve decided to restart it as a weekly 3-panel strip starting in October! Now, by “restart”, I mean quite plainly to start over, as though none of the strips or associated comics ever happened. The same characters will be reintroduced, and in time the situations will all be restored, but I wanted to take the opportunity to start it all from scratch as a semi-linear narrative. If all goes as planned, the earlier stuff should still fit into the timeline as extras. Well, the strips and “Furry Widdle Bunny” 1, at any rate. The “New Corporate Policy” issues were always a bit in their own weird space. Anyway, the new strip is going to be in color, so one of my pre-production steps is to make color guides. I’ve started, of course, with Simon. 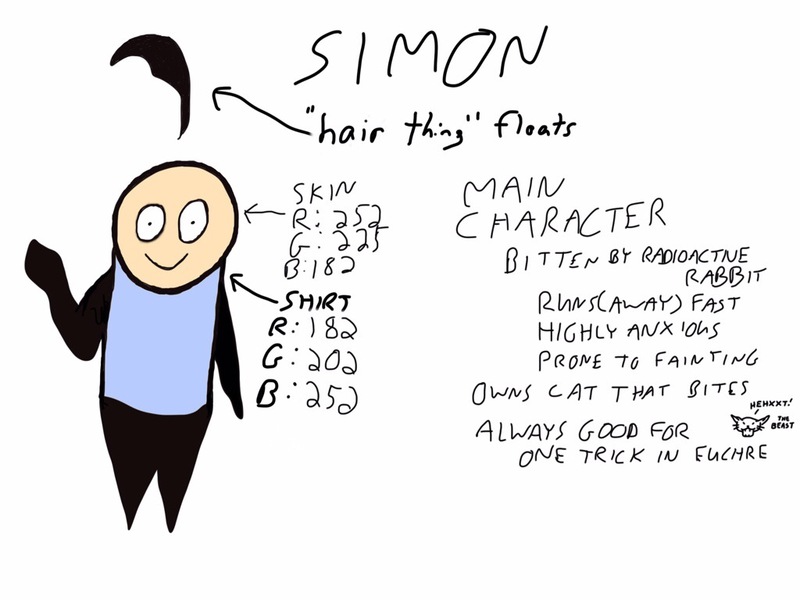 Simon looks very weird to me in color, yet. If you are interested in seeing more info about the process of getting the new strip up and running, I’ll be posting updates to Hula Cat Comics. This entry was posted in News and Announcements and tagged comic strip, comics, Furry Widdle Bunny by retrozombi. Bookmark the permalink.